First impressions stay with us. 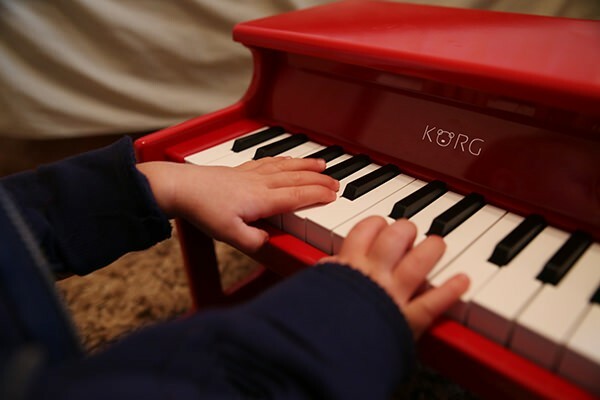 If it’s an instrument, the sound of that instrument continues to reverberate in our hearts and minds even when we become adults. 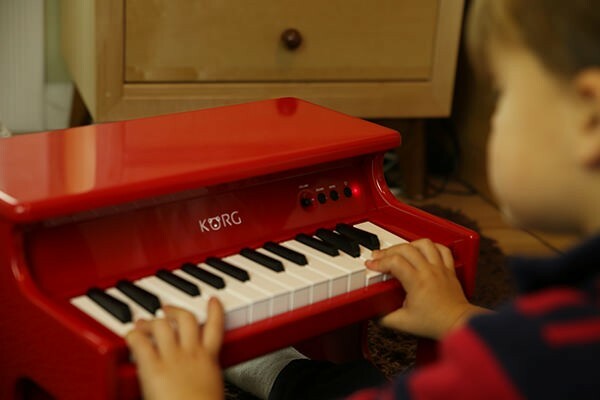 KORG believes that the way to foster a true sense of value is to be in contact with true quality from the very beginning. 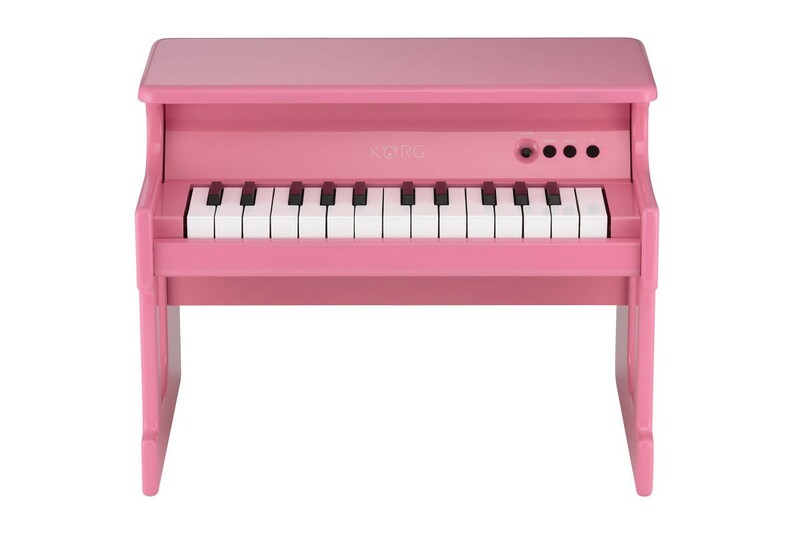 A truly valuable present for our children must be of a quality that will satisfy the adult who chooses the gift. 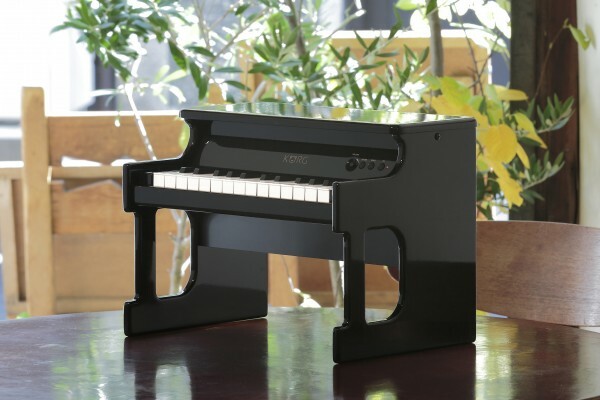 The tinyPIANO lets you play the deep, rich tones of a sampled grand piano with the stable pitch that you expect from a digital piano. 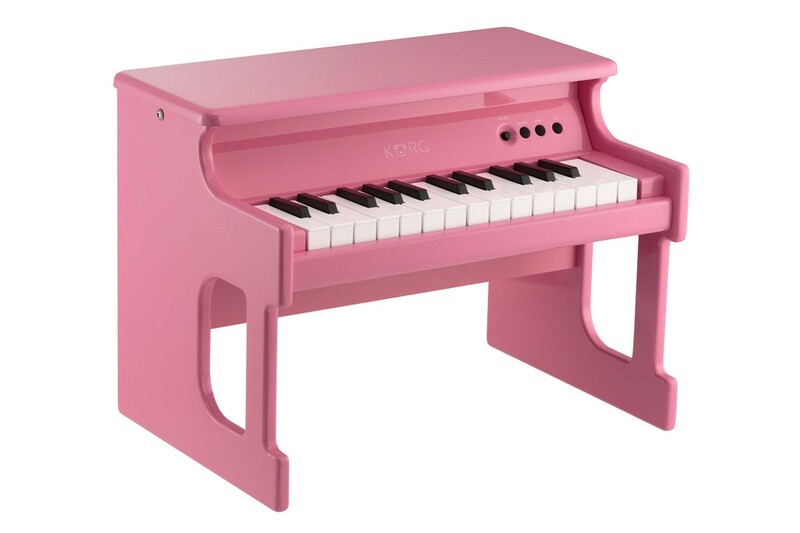 With an emphasis on safety and durability, moving parts have been reduced to the minimum and the volume has also been adjusted to a modest level that will be appropriate for a child’s ears. 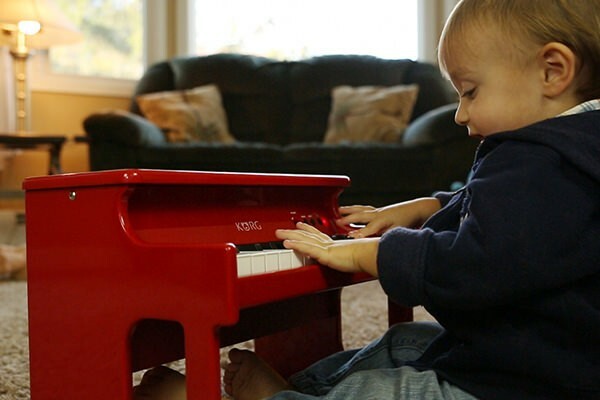 Good sound is not limited to grand piano tones. There are a total of 25 built-in sounds including sounds that you’ve heard in classic songs, such as electric piano, clavinet, organ and bell, as well as sounds that befit a miniature piano, such as music box and toy piano tones. 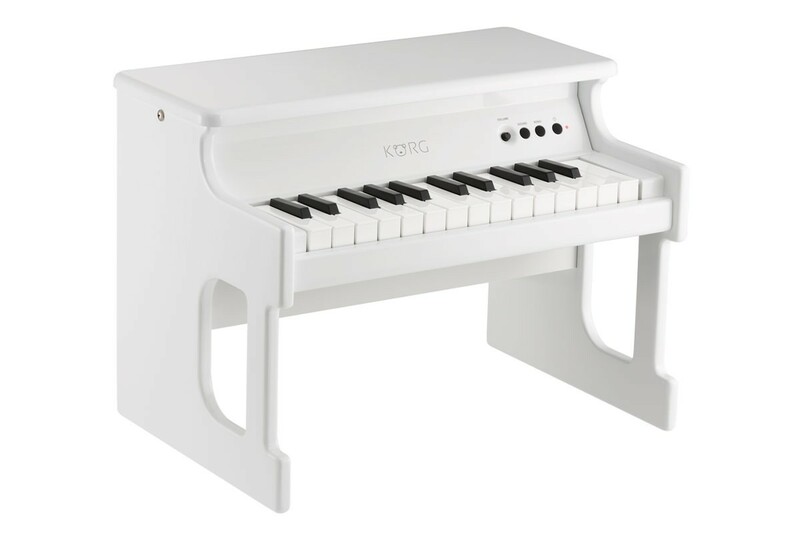 You can learn the sounds of instruments while actually playing them, as if the tinyPIANO itself were a picture book of instruments. 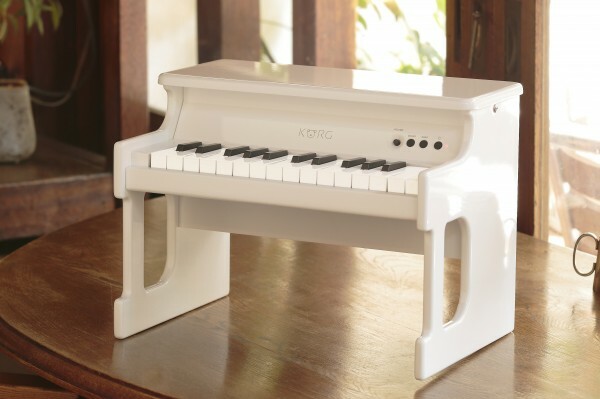 The tinyPIANO contains 50 automatically playing demo songs that cover a wide range of styles. 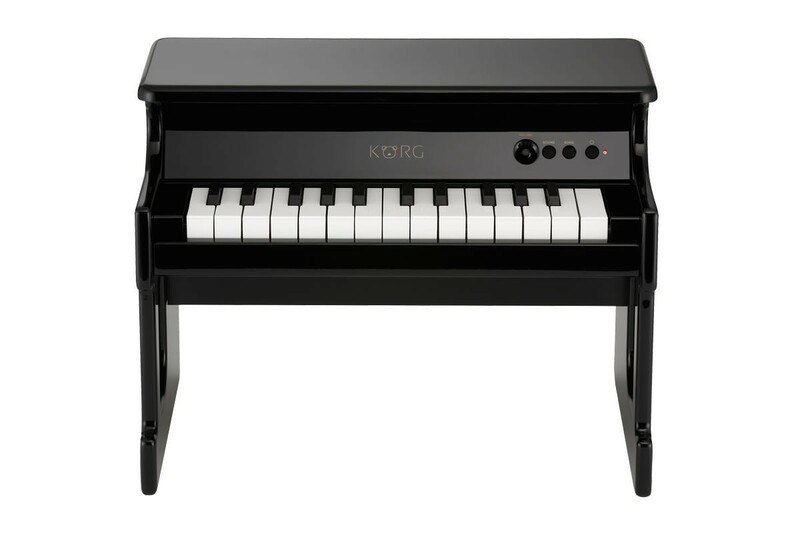 In addition to being a great way to hear skillful performances, these songs can provide enjoyable background music for your room, like a music box. Each demo song is assigned to play using a tone that’s appropriate for it, but you are free to specify a different tone to suit your taste or the desired atmosphere. Even when playing back the demo songs at night, you can turn down the volume and enjoy the background music without disturbing those around you. Speakers are built into the compact body. 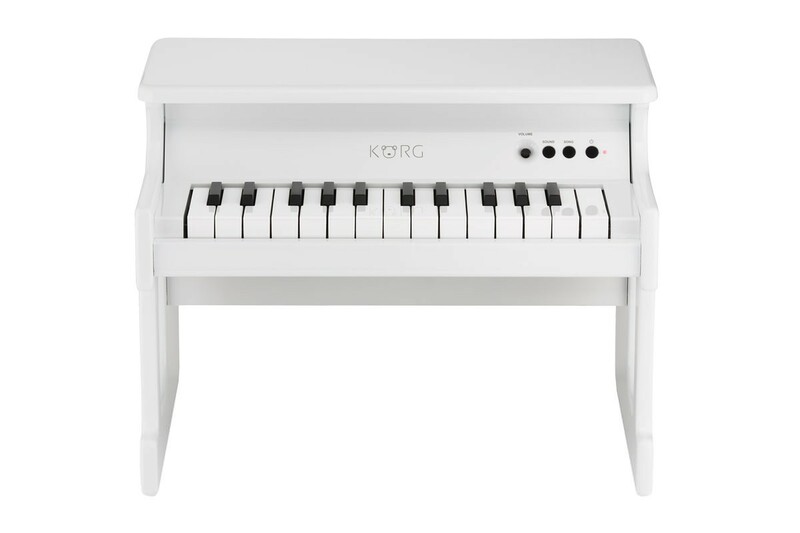 Since the instrument is powered by six AA batteries, you can enjoy piano performances anywhere and anytime. 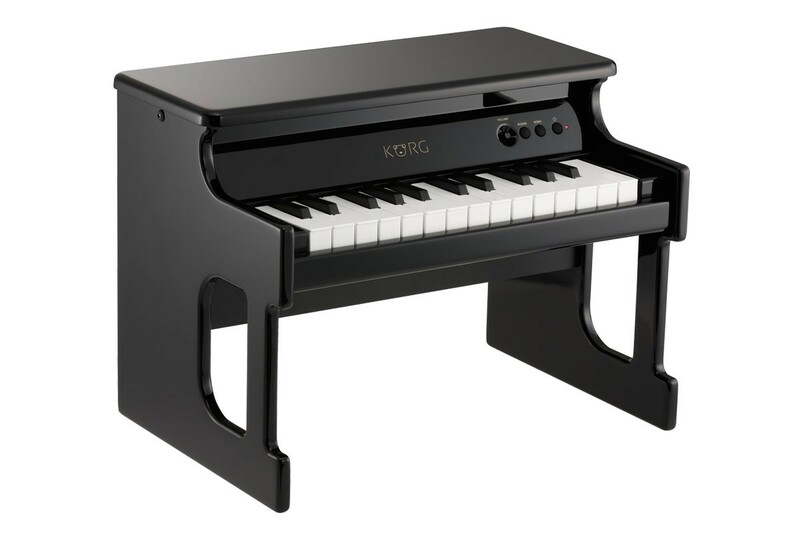 Without needing to be set up in a specific location, you can move the tinyPIANO from the living room to the bedroom or even outside according to how you feel that day, and enjoy music in the style you like. This instrument is too good to let the children monopolize; it’s a miniature electronic piano that adults will enjoy as well. 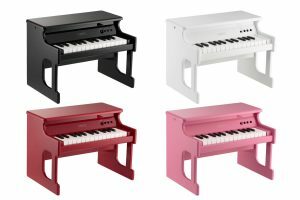 The lineup gives you a choice of four colors: a mirror-finish black that’s redolent of high quality, fresh and memorable red, irresistibly cute pink and stylish white. Choose the color that’s appropriate for your child’s preferences or the ambience of their room.